I own a 2009. Mine is not the finest looking bike, but by far the best all arounder I have ever owned or ridden. Think there is some magic in the Fuji steel. I've owned prettier and much more expensive, but have never been happier with a purchase. Bought mine just slightly used for $475. Lightened with Ultegra Open Pro wheels. Love it. 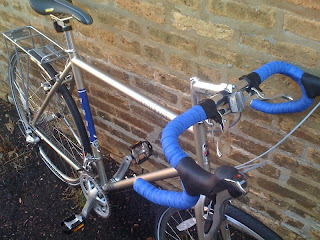 I have just bought a 2010 Fuji Touring --just like this one -- from Cheeky Transport bike shop in Newtown, Oz. I love the blue colour. Will report on first three months experience soon, with pix. My only major difference is that I wanted slightly lower gearing, so switched the front Shimano Sora crankset for a Sugino XD600 triple (26,38,48) which gives about 21" - 117" gear inches -- a great range which suits me fine.